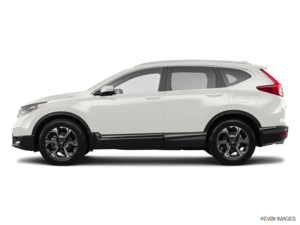 Home > News > News > 2019 Honda CR-V vs 2019 Hyundai Tucson: How Can You Choose? The 2019 Honda CR-V is back this year with little changes over the previous models. That said, the CR-V was already so far ahead of its main competitors in terms of cargo space, efficiency, and safety that Honda didn’t really need to make massive changes to its best-selling compact SUV. Today, we look at how the Honda CR-V stacks up to the Hyundai Tucson, another popular compact SUV in Canada. The Tucson is a great vehicle, let’s get that right. Which model you should ultimately choose between the CR-V and the Tucson will depend on a host of factors including your needs for space, efficiency, how you want your compact SUV to drive, and how you want it to keep you safe. Because you can’t go wrong with either the 2019 Honda CR-V or the 2019 Hyundai Tucson. What can go wrong, however, is if you choose a model that’s not perfectly tailored to your needs. Let’s take a closer look. A 1.5-liter, turbocharged four-cylinder engine with 190 horsepower and 179 pound-feet of torque powers the 2019 Honda CR-V. Powering the 2019 Hyundai Tucson is a 2.0-liter turbocharged engine with 164 horsepower and 151 pound-feet of torque. The other option is a 2.4-liter engine with 181 horsepower and 175 pound-feet of torque. Moreover, the Tucson has average fuel economy of just over 10.0 liters per 100 kilometers in all-wheel drive in its most efficient version while the CR-V averages just 8.0 liters per 100 kilometers with all-wheel drive. 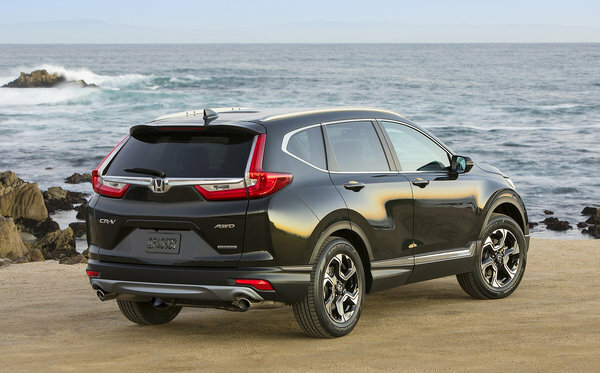 The net result here is that the Honda CR-V is both more powerful, and more fuel-efficient than the Hyundai Tucson. It’s also more spacious. It features 1,110 liters of cargo space with all seats in place while the Tucson has just 877 liters of cargo space. 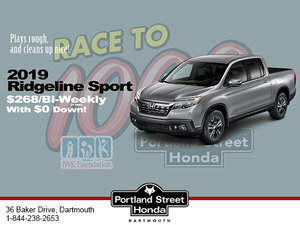 To learn more, contact us today at Portland Street Honda.